This is a special yearly editon by Anandamela Patrika published from Kolkata in India. Now I'll share with you this year issue of Anandamela Pujabarshiki 1422 (2015) in a PDF file. 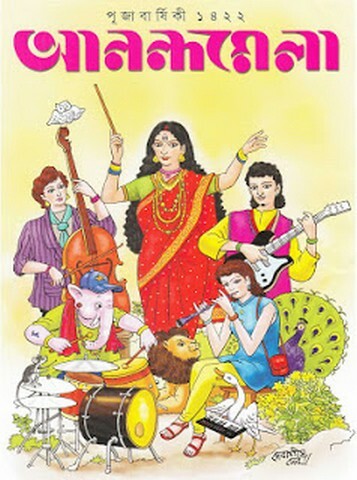 Mostly Anandamela is a popular patrika among Bengali children. This special Durga Puja festival edition's cover stories, there are a lot of stories are written by varies types writings of various author.